Business travel expenses: A black hole for your budget? – Haven Financial Solutions, Inc.
Business travel expenses: A black hole for your budget? For a year or two after I graduated from grad school, business travel seemed very glamorous. That was until I realized you actually had to work at those cool destinations, and most of the time everything was closed by the time the workday ended. Later in life, I had a husband who traveled frequently for business. In both cases, horrendous travel bills would roll in, and the reimbursements never quite matched the bills incurred. And because I did the bookkeeping, I was never sure how much money we’d actually have after a job, because I hadn’t seen the expenses and he kept terrible records. If you travel for business, you may have noticed that your company (or contractor, if you’re self-employed) may not be in a terrific rush to process your expense report and issue a check. Particularly in the case of a contractor, your client may see your travel expenses as just part of your overall payment, and that payment may not show up for 60 or 90 days. Depending on your credit card interest rate, slow pay can eat significantly into your income or profit. For some reason, freelancers are very, very reluctant to ask for any money up front. Learn from your plumber or carpenter—no tradesperson buys materials without an advance, or commits time without seed money. I’ve suggested this over and over, and once the client (and my ex) screwed up their courage and asked, they’ve never been denied. Even if you have to do a rush job, they should be able to cut a check and have it waiting when you arrive on site. Have them do the booking. If you can’t get an advance or there’s company policy forbidding it (unlikely but possible), see if you can get them to book airfare or a hotel for you, putting it on their credit card. Then they’re bearing the risk of slow payment or no-show, not you. One credit card only for business travel. If the card has to be in your name, not the company’s, make sure you segregate that card and use it only for reimbursable business expenses. No, that’s not necessarily obvious—I see people mixing expenses regularly. If you bought your spouse some perfume at the duty-free shop, put it on a different card. That way, absolutely everything on the card should be submitted for reimbursement, or can be easily tracked as a business expense. Look for the lowest interest rate card you can find, find one that accumulates travel points or offers perks, and pick the closing date as far as possible from when you begin using it (you can request a change in closing dates). Unless you’re on that bus in the sky every single week, don’t even consider paying for a super-premium card (unless your company or your contract will cover it and you can pass on the cost). Put a sticker on it that says biz travel only. If you’re using an app, make sure the charges are going to one account only. One checking account only for business travel. This should be opened with your travel advance. If you have to seed it with start-up money, go back and look at your travel cost for the past few years, and divide them by the amount of trips. You need to seed it with at least the average cost of one trip (more, if there are lots of short ones in quick succession). It’s less common to need cash nowadays, but sooner or later you’re going to pull cash to pay for something, and that record will almost certainly be lost and you won’t be reimbursed. Pull from this account with a debit card and you’ll have that record. Obviously, pay your business credit card from this, and only this, account. As in, on the plane home. Every night at the hotel if possible. The longer you leave this go, the worse it gets. Also, it’s very unlikely that you’re going to be reimbursed immediately. You want to be on the soonest reimbursement processing possible, or the closing date and payment due will come faster than your reimbursement. No excuses. 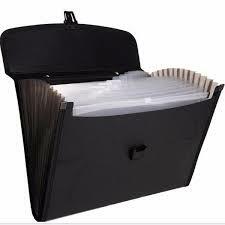 Buy a sturdy accordion file with dividers. No matter how you strive to keep everything paperless, it still accumulates. Outfit this file with a stamp or two, an emergency check, hide extra pens, paper, and some post its—all the stuff you don’t have the one time you really need it. Into this file goes any travel documents, every single receipt handed to you, and post-its reminding you of any cash you spent. Now it’s not rattling around in your backpack, messenger bag or brief case. Stay within your per diem. You can find a hotel within your allowance—federal government employees do it all the time. Ask for the corporate (or federal rate if you can), the AARP rate, the AAA rate, whatever. You’re working—this isn’t a vacation and you can live with a moderately priced chain. Save the luxury for your vacation, or when someone else will pick up the much larger tab. If you truly cannot book within the per diem allowance, you need to talk this over with your corporate travel department and get them on the job. for payment within 15 days of invoice than it does to say 1.5% per month added for late payment. You’ll never get the penalty interest, but you might get swifter payment. Figure the possibility of a discount into your overall charges if necessary, but it’s cheaper than paying 29.9% annual credit card interest for 90 days.